All are welcome at Studio Hope! There are 10 painting stations set up with jars and brushes for your use. Each station has a variety of brushes and a jar for rinse water. There are 24 colors of artist-grade tempera paints and large sheets of wonderful vellum paper available for your creative expression. Imagine being able to paint anything you want! 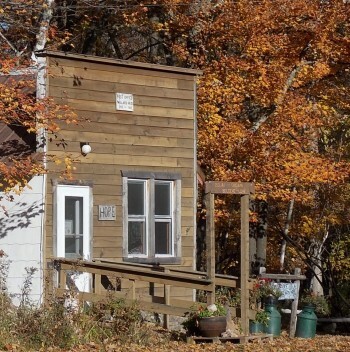 You will find a studio hope on Mann road just as you turn south to go up the hill on margaret’s link to the main building it is just south of the peace pole and west of Shekinah the farm house. There is a $20 studio fee for a day of painting. Half days (3 hours) are $10. Payment is on the honor system. Include the studio fee in your payment when you check out, or bring your money to the office at your convenience. Please indicate that it is payment for the use of the Intuitive Painting Studio. The studio hope is a judgment free zone! Fiercely protect it! In this studio, we agree to never comment on the paintings, discuss their content, or to compare! What we considered deeply is the process, the experience, and the capacity to be truly free moment to moment. You will find much more information and tips on painting in the binder found in your hermitage. You can also get this information from the front desk. Gabriele trained in the intuitive painting method of Michele Cassou, and has over 30 years’ experience in using art expression as a personal contemplative practice. 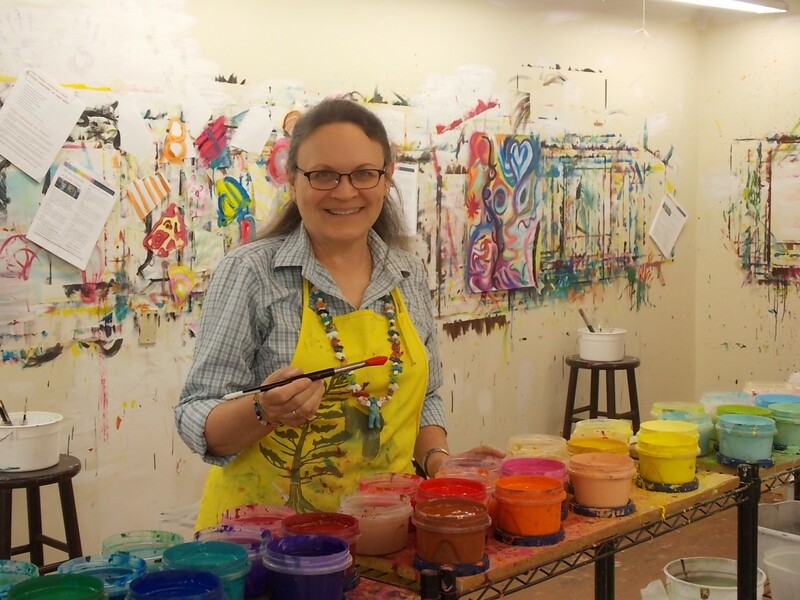 Her intuitive art studio provides a marvelous “judgement-free zone” for daring freedom, breaking old patterns and discovering fresh creative possibilities. The Intuitive Painting was wonderful. The space of no-judgment and opportunity for playfulness was great. I’m glad I was here. I was able to find things that really worked for me. The Intuitive Painting is fabulous. I love being in a place that is so intentional and so deeply infused with healing and faith. I loved my experience here and will return. The Intuitive Painting experience was very valuable to me. Far exceeded my expectations.